April in Clubs hits the ground running, including top picks for the Easter Bank holiday weekend, and a very Good Friday indeed. This month in clubs sees some carefully curated nights at our favourite dancing spot The White Hotel, forward thinking Alternate Cuts at Soup Kitchen brings a techno set from a big name in house/disco, and Partisan’s All Dayer returns. Legendary dance-pop masters grace The Pink Room for the entirety of the night. Runs from 11pm till 3am at just £8.80 for a bit of midweek madness. All the best parties start at Midnight. Including this 3 hour set from this Birmingham born techno-guru. Nacht bring her exhilarating and ferocious sound to Salford alongside Bill Rogers (Haus22). Party runs till 6am. A five hour long takeover from this Radio 1 disc jockey and Rhythm Section boss. First release have sold out so don’t miss out. Joining forces with High Hoops, this alternative event series are back for their third year, bringing MCDE to Mcr for a set of primarily techno – a far throw from the deep house and rare soul he’s known for. It’s going to be interesting – all proceeds are being donated to Stonewall, so spread some love and head down to Soup. Runs 10pm-3am. Ruf Dug (WET PLAY), Ladybeige (The Social Service and All Hands on Deck residents will be soundtracking the next installment of our favourite community rave. “No customers, no bosses, no profits.” includes 80 Decibels takeover, an inclusive party for families and children, Vintage ex-Hacienda visuals , cocktail specials and a video games corner. Runs 12pm-Midnight. Fundraiser party run by Leeds based MAP Charity who believe in the transformative impact of music and art in society, bring Cosmic Tom and Mike B to soundtrack your night. Runs 11pm-4am. One of Manchester’s finest, wildest, and adored club nights is back on the scene. Resident selectors Kickin’ Pigeon (Piccadilly Records, NTS), Randy Marsh (FULL BEAM!, Red Laser Disco) and of course, Ruf Dug (NTS, Ruf Kutz Records) will bring back a loyal crowd. Promising “holistic merriment” and “unconditional reward” this one is bound to sell out. A very Good Friday indeed. Read our preview. Project 13 MCR and The WHITE HOTEL presents have curated a special evening of eclectic sounds – expect the unpredictable, melodic and maybe a little stomp. Runs midnight till 7am. Surco presents the LAST installment of the novel party involving literal raving in a bagel shop. After a string of sell out events, this time the space will be transformed into a wacky, trippy Mad Hatter tea party dream and. Surco residents and special guests will supply the vibes all night. Runs 11pm-4am. Label, promoter and collective Loose Lips present the second of a two part series. P1 of this mini series saw Drvg Culture, Ekman & No Moon @ Joshua brooks in March, while P2 brings another two Manchester debuts – both live performances – to Salford at the end of the month. With local support from Means & 3rd b2b Kerrie, and Everett, as well as Loose Lips residents. It’s going to be a long session and tickets are selling fast so grab em while you can. Runs 12am-7am. Taking to The Pink Room is a maverick melody maker, who transforms rock to dance music, scoping the periphery of dance music expertly. With residences including Boiler Room and Radio6Music, his live “re-productions” are not to be missed. A foot in both worlds he has worked with the likes of Franz Ferdinand, the Yeah Yeah Yeahs but he is just as at home with throbbing techno, working with Daniel Avery on his latest album. Hosted by Now Wave, it runs 11pm-4am, and early birds have sold out so act fast. Delve into the rare and danceable Arabic music from the 60s, 70s and 80s with Habibi Funk. Joining them is SNO and Cervo. Runs 11pm-4am. For more things to do in Manchester, click here. Police brutality towards African Americans has become the focus of many recent films including those by 2019 Oscar nominated Barry Jenkins - notable court cases regarding the brutal killings of Trayvon Martin and brought media attention to the daily injustices of the Law Enforcement systems, but while police brutality has become more visible in recent years, this problem speaks to powers larger than heated violence on the streets. America is home to 5% of the world’s population and 25% of the world’s prisoners. Black men, who make up 6.2% of America’s population, accounting for 40.2% of of the prison population. It has become a system designed to keep people in once they’ve been put there, and due to long standing images, narratives and presumptions about the black male body as a symbol of predatory criminal, and the legacy of slavery - it has become African American men who face the majority of time behind bars, and likelihood of arrest. They are the direct products of this redesigned racial caste - a modern prison system supported by corporations, and reliant on the inherancies of slavery in America. The American Prison System has a legacy of relationships with corporations who hold large monetary stakes in bill making and prison infrastructure. A major player continues to be ALEC - the American Legislative Exchange Council, who provide legislative bills between corporations and politicians - mostly Republicans. They are funded and supported by a number of corporations, past and current supporters include Fed-Ex, Comcast, Statefarm and Pharama. Walmart - the biggest seller of guns in the U.S. - also funded ALEC for a number of years, whilst dropping ALEC in the late 2000’s, the Walmart family continue to fund them. Although ALEC have since adopted a stance supporting prison reform, they still attain a financial interest, and their impact on industrialism the prison system, is still contributing to mass incarceration. In the 1970’s and 1980’s the baby boom generation became adults and due to simple demographic changes, crime rate in America rose. Political discourse reacted; in search of a blame for the rise in crime, Richard Nixon declared a “war on drugs” in 1971, imagining an enemy in a specific youth generation. President Reagan continued the war-rhetoric, and the discourse soon took up the phrase “superpredator” - describing young black men who had become accused of crime. Bill Clinton took even more drastic moves to enforce a mass incarceration, his 1994 Crime Bill brought in mandatory minimum sentences, and a “3 strikes and out” law, meaning three convictions meant life in prison. These measures meant longer sentences, and ultimately it became much harder to get out once you were in. The system made sure of this because, as it became increasingly profit dependent, people getting out of prison meant losses. Black men became the inevitable targets of the system due to ingrained assumptions of guilt and a legacy of predatory imagery associated with them. The powers that be remain firmly in place. While political rhetoric informed the militarization of American prisons, ALEC and corporate involvement has ensured the financial sustainability of mass incarceration. This is overwhelmingly affecting black Americans, and what’s more, even when convicts finish their sentence, a symbolic incarceration continues - they are permanently denied the right to vote after conviction. Author Michelle Alexander calls this the “new Jim Crow” - segregation and disenfranchisement re-visioned. When Green Book won the Academy Award for Best Picture at the 2019 Oscars in February, it was met with a storm of criticism from writers, journalists and social media pundits. They called out the film’s dismissal of the complexities of racism in America and eerie parallels to the 1989 film Driving Miss Daisy, in which a black chauffeur (played by Morgan Freeman) is employed as a driver for an elderly Jewish widow, who is attempting to maintain her mobility. It became hugely controversial for its rendering of the realities of racism invisible by illuminating a charismatic interracial friendship which, while seemingly “transcends racial prejudices and social conventions”, actually erased them completely. Critics from The Guardian, to VICE to gal-dem have argued that the 2019 Oscar winner does the very same thing. 30 years on, the Oscars are still very white indeed. Green Book tell the story of successful world-class African-American pianist Dr Don Shirley (Mahershala Ali), who employs a tough-talking Italian American bouncer Tony Lip (Viggo Mortensen) to drive him on his tour of the deeply segregated Southern states in 1962. The Oscar-winner deals with race and segregation in America more consciously than other race-buddy film Driving Miss Daisy, but this is not enough to become a transgressive spectacle. Swapping the race and class status of the protagonist driving the car does not equate “flipping the script” on the racial paradigms of hierarchy and equality. This is the white saviour trope flipped on its head. A moral and intelligent black character saves a flawed and misguided white anti-hero from his racial misjudgements - probably to a fair amount of appraisal and wholesome detachment of guilt from white audiences far and wide. I saw Green Book by accident, walking into the wrong screen at the cinema (we thought we were seeing Vice - also up for Best Picture). I watched it at a cinema in Totnes, Devon, at a small Arts venue where the crowds attracted tend to be of a certain age - mostly white, high-brow, educated and glaringly middle class. Unsurprisingly the film received, you know, those kind of knowingly superior laughs. It was a funny film, aside from the obvious (to me at least - someone who has studied African American representation in Hollywood) white-protagonist-privilege a-goin’ on. Tony Lip’s quick wit made him a deliberately likeable character, but I couldn't help but think the initial racism he showed - putting two glasses that two black men had drank from, in the bin - was telling of something all-too inherent and engrained to be eradicated completely through a idealistic friendship. Green Book was based on true events. Yet the presentation of the truth was not believable enough. A protagonist who would throw away the glasses used by two black men in his home, would shift his perspective on blackness so dramatically - seems too reductive and fleeting. Unfortunately this points to a bitter legacy in Hollywood. A white master narrative thinly disguised as an uplifting tale of a friendship which may solve and overcome pervasive racial inequalities of America (on and off-screen no doubt). Tony is aggressive and uneducated, a character who transforms as he achieves his ultimate goal of interracial friendship - a friendship the film suggests, eradicates the racism we saw in his character at the start. This is what critics mean when they say that the long, engrained legacy of American racism is ignored - suggesting pervasive racism can be eradicated by a simple comradery. Films involving interracial friendships are mostly the product of a white gaze (enforced by directors, the scriptwriter, the producer - developed on screen though the privileging of a white protagonist or perspective) and are historically lapped up by the dominant film cycles and industries. This affable connection is a powerful illusion and generally works to make the dominant white culture, feel a little bit better. Ignorance is bliss, right? These powerful notions about identity and place within the African American psyche call back to an era of slavery and African people being taken from their lands. The African American identity is one on its own, but indeed it is not one singular identity either. Sometimes we can be all too quick to find the negative portrayals in a film, to fit our own agendas and politics - it might have been all too easy to find the similarities in Green Book and Driving Miss Daisy simply because of the apparent role flipping of the driver's seat, but it may also be possible to look further and see elements of transgression, even if very slight. Just as blackness is not one essential thing, nor is whiteness. And it becomes reductive to see whiteness as the essential other - it too is constructed. Whiteness is not the ‘essential racial category’ the essential ‘other’- often we talk about racial difference and racial inequality from a dominant voice or perspective which assumes whiteness to be the natural essential category. Whiteness is as constructed, as socially malleable and influenced, as much a product and symbol as racial identities society assumes to be ‘other’ - cultural Critic Richard Dyer first told us this. Yet there is something about identity that Green Book touches on, that speaks to something inherent in the African American psyche that a simple account of history might not teach us. I’m unsure of how to justify this considering the film’s largely white production context, but it was something about Mahershala Ali, giving such an emotive performance, stating his claim - his paradox - in not feeling black enough or white enough, which almost felt that it could be powerfully transcendent of the problematic circumstances of the film’s production. Green Book beat Black Panther (Hollywood’s first black superhero movie) and Spike Lee’s -BlaKkKlansman did Lee lose to a Driving Miss Daisy again, years later? Ironically Lee’s BlacKkKlansman has been criticized as being a film about a black person, made for a white audience. Yet I thought Lee’s film tackled this history with a little more grace. Lee, the champion of black cinema and known for his black-centred stories, was also reported saying, in a BBC interview that Green Book, quote, “wasn’t my cup of tea.” What could it mean for a film centred around race relations, when the filmmaker best known for his radical hip-hop-centred black films which interrogate black and whiteness to critical levels, shows disdain? Lee’s film’s have been popular with white audiences for a number of years. But it also seems pressing and important that black stories - more significantly told by black artists and filmmakers (on their terms) can appeal and (although not exclusively) to white audiences - diversity of representation and types of stories is the goal, no? It’s complicated, and the ironic nature of black art within the Hollywood structure is broadly symptomatic of this. Often African American art has (consciously) performs and acted within the dominant structures to succeed - this is the signfiyin’ nature of black art - using the master's tools to create a kind of upward mobility, and so long as Hollywood is dominated by whiteness, that will continue. What has become interesting is the dialogue that sprung up in reaction to Green Book’s win - no longer is #OscarsSoWhite the issue; representation of black people onscreen, and recognition of black actors has visibly increased (both -- and Regina King winning for their supporting roles, and three notable ‘race films’ nominated for Best Picture) (an article shared by Creative Access celebrates this) Visibility and representation isn’t everything; Hattie Mcdaniels in 1940 won Best Supporting Actress for her role in Gone With the Wind, but critics have since identified the inherently racist themeology and ideology of the film itself. The conversation has come back to the age-old problem, something much deeper than representation and the visible actuality of black people in films; it becomes again, about the stories being told, how they are being told, and who is telling them. Who is controlling the stakes? Green Book may seem to be an uplifting and hopeful story about an interracial friendship, surmounting barriers and ultimately protecting one another. But the producers and directors of Green Book were all white men - as one skeptic said “undoubtedly used the N-word in their college years.” Skewed racial projections and hopefully, forgiving narratives frame such work as this, it might hardly matter that some important resonating points are drawn on. I’m reading the cover of this week’s The Guide (March which has on the cover page “Too Black Not Black Enough - Why culture still gets race wrong” referring to the article inside which discusses pop culture’s problematic relationship with race. It is entirely convincing. Yet It points out Green Book’s controversial relationship with the subjects and history on which the film was based, yet ironically the title points to the most salient moment of the film itself. It makes little difference (perhaps) what race the ‘protagonist’ of Green Book was (in this case a white American working class man), nor that the supporting role was played, and thus written as a black man. What matters here, is that the characters - no matter who was driving the car, were not explored in enough depth to do justice to the real, true, historic, and factually documented story. As critics jumped to claim as soon as GB won, the film does reduce the complex and ingrained legacy of American racism to a face-to-face tension which can be erased, solved and transgressed, by a friendship seemingly crossing racial and class divides. Of course throughout, the audience are designed to empathise with this white character who shows courage, buffoon-like humour and eventual admiration for his black employer. It seems that Green Book tries to flip the Driving Miss Daisy paradigm - the employed becomes the white chaufer, but in the end, the very same appeal interracial friendship is achieved. And the white man remains in the driving seat -- on, and off screen. If the Academy wanted a “race film” to win the oscars, they certainly could’ve chosen a lot more wisely. At least pick a race film that was told, directed and inspired by black people - avoid that kind of controversy again, please. I liked BlaKkKlansMan but if they weren’t gonna let Do the Right Thing win in 1990 they certainly weren't going to let Spike win this one. It is frustrating when limiting stories about race receive such attention, and other, more relevant and in-tune with today’s continuing racial strife and black incarceration (Beale Street et al), seem ignored. It’s hopeful that diversity has improved on screen and more black directors and producers are getting noticed in a whole range of genres, not necessarily stories about race either. But it becomes frustrating when the “wrong kinds of race film” dominate attention at the Awards. 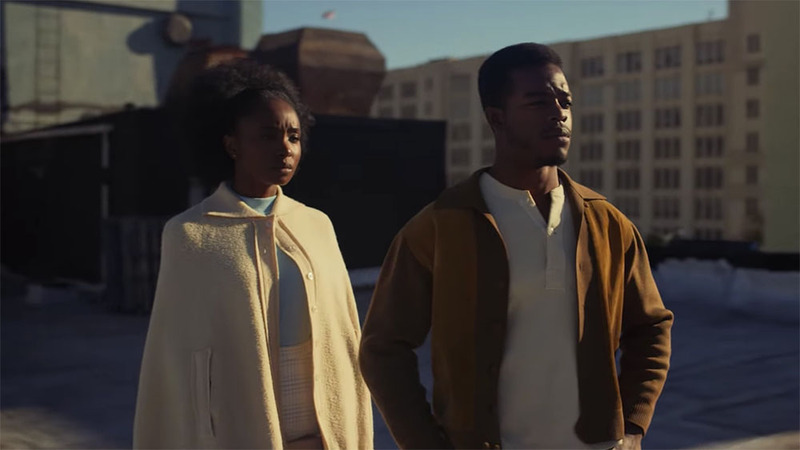 Where was the complex, tender, emotional and poignantly relevant even today, “If Beale Street Could Talk” (reviewed by my friend and critic for the STRAND) in the nominations? That’s what I want to know. Manchester club guide for March 2019 ft Palms Trax, Mark Broom & more. A real nostalgic techno rave, for LQBTQ folks and close allies alike. Everyone is welcome and encouraged to be excellent to each other. Runs 12am-4am, entry is by donation to Partisan OTD. Join UK techno legend in the intimate basement of YES, with support from residents Josh Reeves, Reece Riley and Pasky. Runs 11pm-4am. A Manchester residency in its 19th year. This eclectic session sees jazz, soul, hip hop, funk, disco, deep house, latin, electro and techno blend into one undefinable category! There will be extra space on the dancefloor for shapes, and less room for phones – everyone is welcome. Runs 10pm-3am. Studio Barnhus co-founder is going all night long. Expect mastery in rhythmic sensibility. Runs 11pm-3am. Charity party people Dance for Refuge join BLOOM for an Int Women’s Day special in light of the ongoing refugee crisis. All profits go to Women for Refugee Women – it’s not to be missed. Runs 11pm-6am at BLOOM’s favourite Salford dancing spot. The second installment of Heliocentric gives us Jamie Nelson experimenting with everything from afrobeat and disco, to dancehall, to hip hop and soul. His creative flair will keep you on your toes all night. Runs 11pm-4am. Th hands on deck for the evening are made up of Hesska b2b Clemency (Mutualism) & Ifeoluwa b2b Soyboi (Intervention / Headroom). AHOD & community station Limbo Radio celebrate Int Women’s Day w/ some talented female DJs. 9 hours of tunes, a panel discussion and even curry on the dancefloor (Vegan option available!). Runs 4pm-1am. One big birthday party for CULT promoters sees Hessle Audio don Pearson Sound return along with Berlin based Gwenan. Runs 11pm-3am. UOR is back with another accessible rave, specially for adults with learning disabilities who otherwise feel unable to attend club events. Infamous selectors, Supernature Disco will be sound-tracking the night. All are welcome, including friends, carers and family members. Runs 6.30pm-9.30pm. Internationally renowned selectors go b2b to give you some of the weightest sounds from the musical-sphere. There will even be a very special semi-peppered pizza available on the night upstairs. Runs 10pm-4am. Like-minded DJs join Palms Trax – get tickets before they go. Runs 11pm-4am. Another unmissable All Night Long at Gorilla presented by Augmented. Runs 11pm-4am. Highlights include a retrospective of work by Charles Rennie Mackintosh, playful and colourful social critique from Sol Calero at the Tate, and one of the most important Chinese artists of the 20th century, Li Yuan Chia, at the Whitworth. In photography there is Martin Parr’s Return to Manchester, at Manchester Art Gallery in St. Peter Square, which continues until the Spring. The exhibition of Mancunians past and present has been on display since November and is free to explore until 22 April. The show depicts how the lives of Mancunians has changed since the 1970’s – when Parr was a student at what is now Manchester Metropolitan University. Despite the 50 years difference, the images also reflect a universal continuity in how we live. The exceptional collection of photographs, from Britain’s sharpest and most tenderly satirical eyes, is not to be missed. For more details, check out the Manchester Art Gallery website. If its large scale installations you’re into, then look no further than Tate Liverpool’s new commission from Sol Calero. Hailing from Caracas, Venezuela – now based in Berlin – Sol Calero is an ambitious and stand-out visionary who has been recreating elements of a Latin American village across Europe with each exhibition. Her work is political and engaging, implementing both traditional art forms and experimentation with found objects. Expect a playful and positive critique of the surreal set of stereotypes and clichés in different cultures. Don’t miss Senga Nengudi at The Henry Moore Institute which continues until 17 February 2019. This major exhibition dedicated to the work of African-American avant-garde sculptor Senga Nengudi, celebrates a pioneering figure best known for her abstract sculptures that combine found objects and interpretations of choreographed performance. This is the first solo institutional exhibition of the work of Nengudi outside the United States, bringing together pioneering work from 1969 to the present, alongside a new installation. The show has been running since September 2018, and will continue until 17 February 2019, so catch it while you can. In celebration of the quintessentially Northern, Walker Art Gallery prepares for a stand out exhibition this Spring. “Making the Glasgow Style” is dedicated to the life and work of the Glaswegian artist, architect and designer Charles Rennie Mackintosh – father of the UK’s part in the international Art Nouveau movement. Objects of many mediums will be on display including including stained glass, ceramics and mosaics. Finally, as winter dissolves into Spring, why not check out Li Yuan Chia’s quietly poetic, hand painted, “Unique Photographs” at the University’s impressive and peaceful setting of the Whitworth Gallery on Oxford Road. Reflect on the changing of the seasons with the work of one of the most significant Chinese artists of the 20th century in an exhibition which coincides with the Chinese New Year. The show opens on 18 May and continues through till 15 December 2019. Entry is free, and why not take the time and explore the beautiful grounds of the Whitworth’s Art Garden or a spot of brunch in their seasonally inspired cafe. Top 5: UK film releases this Spring ft. The Favourite & Stan and Ollie w. Steve Coogan. The upcoming film season is set to be an exciting one. There’s a whole host of new releases, riveting independent screenings, and wonderfully-weird Art House on offer, and you can catch them at cinemas and venues across Manchester in the upcoming. Straight off the back of its success at the Golden Globes The Favourite from director Yorgos Lathimos, (The Lobster, The Killing of a Sacred Deer) is certainly not one to miss. Historically inspired, but thankfully, far from accurate, this outlandish, bitterly dark, but ultimately hilarious satire portrays a highly strung Queen Anne – played by Olivia Colman – in a twisted love triangle along with Emma Stone and Rachel Weisz in 18th Century England. It’s on until next week at HOME, so catch it while you can. Two of Hollywood’s most notable names play father and son in this touching, dark, and inherently powerful drama. Beautiful Boy stars Timothée Chalamet (the incredible lead in Call Me By Your Name) as a young man challenged by addiction, portraying the battle him and his father (Steve Carell) and his family ensure through addiction, recovery and relapse. A dark coming of age story, but ultimately a message of love, hope and life. You’ll be able to catch it from Friday 18 January at HOME. If Beale Street Could Talk is the follow up film from Moonlight director Barry Jenkins. Set in 1970s Harlem, and based on the acclaimed novel by James Baldwin, tells the story of a pregnant young woman trying to clear the father of her child’s name, from a crime he didn’t commit. The tender, poetic and political are in play here. Released on Friday 8 February, this is set to stun. Steve Coogan and John C. Riley are utterly transformed in what is set to be a remarkable biopic portraying the lives of the landmark Hollywood comedy duo Laurel and Hardy. Stan and Ollie is set during the iconic duo’s farewell tour an is a touching and uplifting homage to two unforgotten favorites. It’s showing this week and next HOME on selected days – don’t miss it! Plus don’t forget to support your local independent film event this month. Above the Line’s next screening is The Man Who Fell To Earth (1976) at YES – part of Bowie: Sound and Vision – on Saturday 12 January at 6pm. Their previous screening of A Killing of a Sacred Deer was a full house – keep your eyes peeled for many more provoking films and post-cinema discussions from the forward thinking film club. All mentioned films are showing at HOME, and other venues across Manchester throughout January and February.